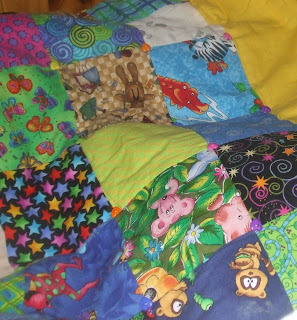 Many years ago I made Amy (now 10) an eye spy quilt which she still has and loves. It is much loved and very well washed but still nice and bright. 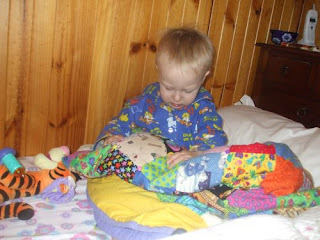 I had a little visitor here for a sleep over last night who has discovered the wonders of an eye spy quilt. Young Tommy (18 month old grandson) was very entertaining with his ooh's and aah's and recognition of some of the animals in particular the frogs. He loves the quilt and quickly snuggled down for a wonderful 12 hour sleep !!!! 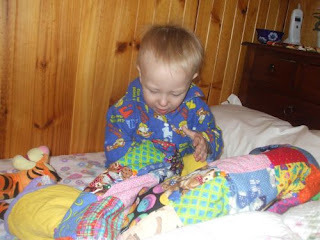 This morning he once again played with the quilt and said "snuggle" as he and Amy played with it. So I think that it is time for me to raid my stash and make Tommy his very own"snuggle" eye spy quilt ready for his second birthday. The beautiful reaction and bonding that he has made with it since seeing it last night is so lovely. 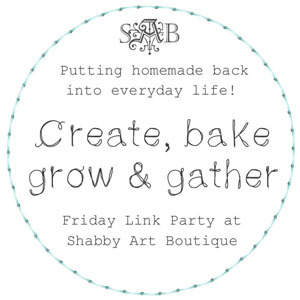 It makes the act of "making and giving" so much nicer when you know that something that you have made is so well loved and treasured. I will be sure to put plenty of animals in his as he just adores ducks and frogs. The sun is shining here this morning but I intend on having a quite day as the lurgy is slowly creeping up on me. 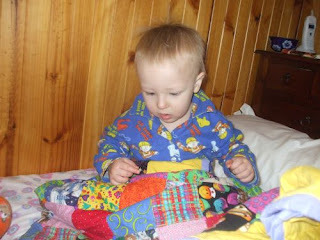 Oh, that little one is having so much fun exploring and finding all the fun things on the quilt.. I made my DGD one quite a few yrs ago and she loved it.. He is lovely I agree you must make him one too. I have a quilt made for me by my grandmother when I was very small and I still have it. It was made out of materials like soft baby cord and is two layers ie not quilted. It has been washed so many times but still well loved. I'm sure Tommy will love his own quilt - I must make one soon for a little nephew! 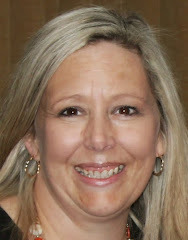 Have a restful day and try to get better! Ooo, the dreaded lurgy. I'm just getting over the flu that I've had all week. The hardest part was trying to keep warm when the chills set in. Hope yours goes away soon. What fascinating expressions on his face . . . priceless! I know he will love his very own "snuggle" eye spy quilt. I can see how much he loved that quilt,but you don't have to be a kid to like that kind of quilt. It is charming! What a cute little guy! He defiantely loves that quilt, and he will cherish one of his own! 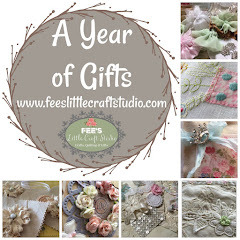 Those pictures really sell the I Spy quilt! What a cutie he is. 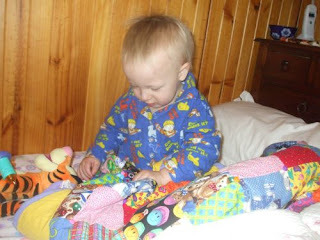 Lovely pics Fiona, of little Tommy and the quilt!